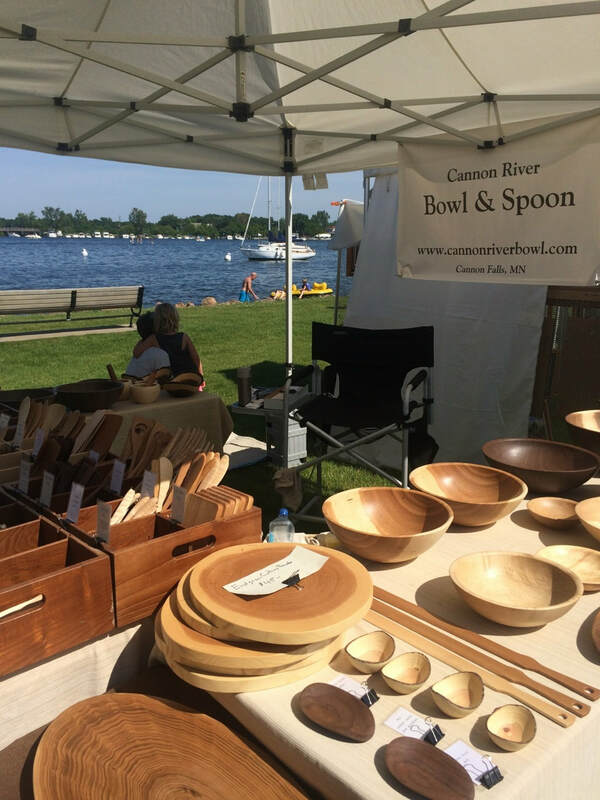 CANNON RIVER BOWL & SPOON - News and updates from Cannon River Bowl & Spoon. CRB&S Now Has Wholesale Terms! We do offer terms on wholesale. 40% off, purchaser takes care of shipping, and payment required at time of order. First time order of $1000 minimum after discount. Subsequent orders with a minimum of $500 after discount. This is for brick and mortars only (tax id number and a picture of your storefront required) with the stipulation the items will not be listed online. This is for in-stock inventory only, no commissioned work. Message us directly before placing your first order! Salad Service Sets. Great Gifts! 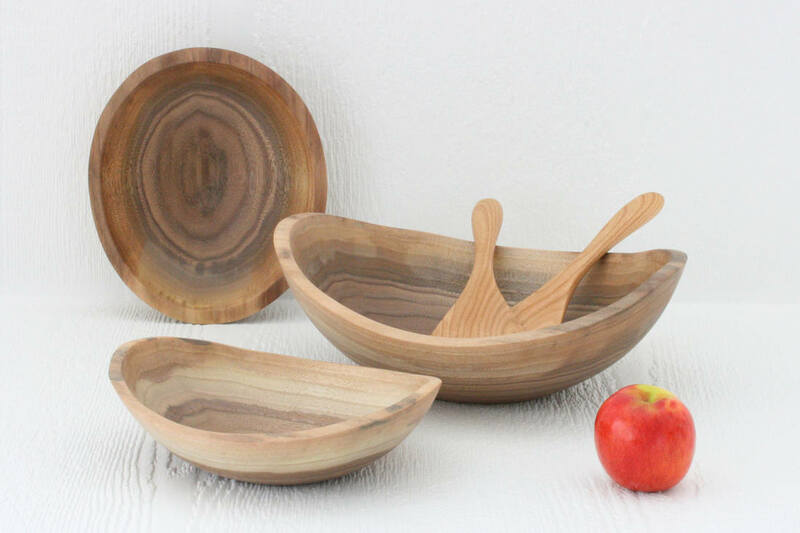 SOOOOO excited to list these new salad server bowls with matching single serving bowls and paddles. Beautiful live edge walnut. So, you've invested in an Instapot, and are committed to a healthy life style...why would you continue to use plastic cookware? Gross. 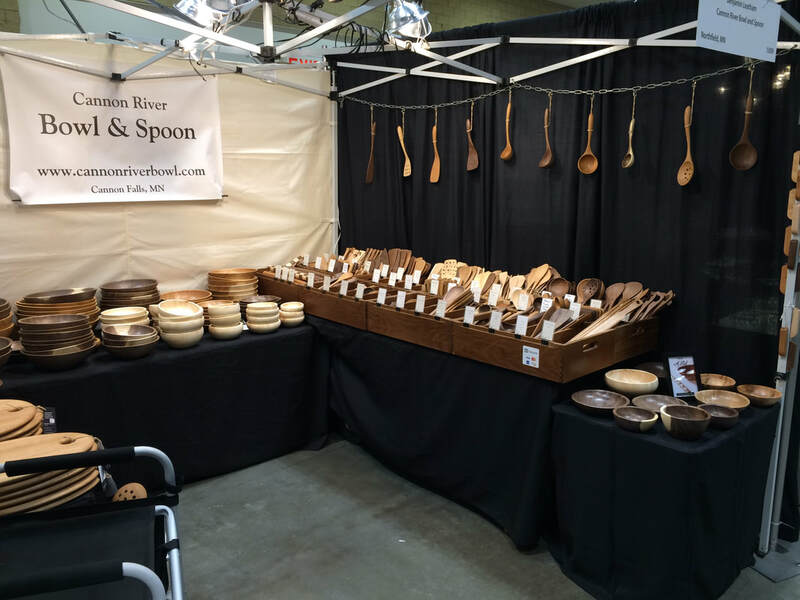 We have serving and table ladles, rice paddles, and serving paddles that would be perfect for the Instant Pot. Black Cherry Serving Paddle. Handmade Wood Utensil. Handcrafted Wood Spoon. Wood Kitchen Utensil. Large Wooden Serving Paddle. Black Walnut Table Ladle. Handmade Wood Utensil. 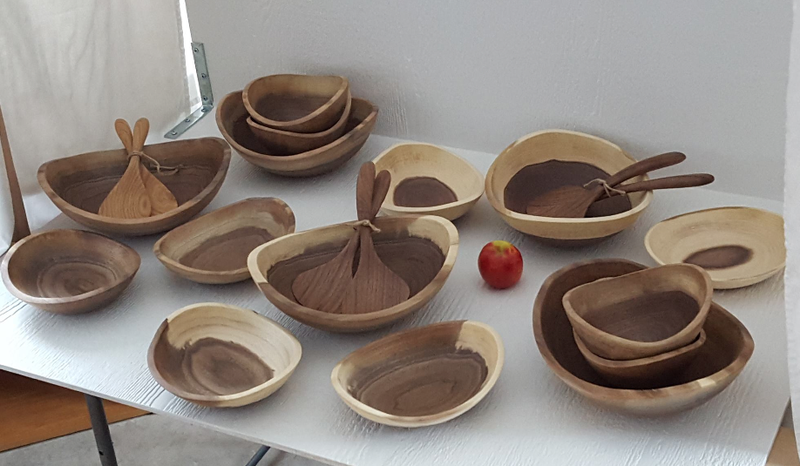 Wooden Serving Ladle. Wood Kitchen Tool. 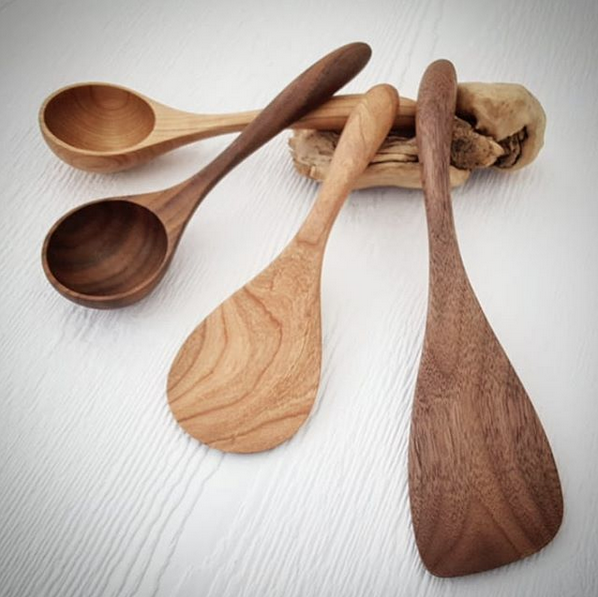 Wood Serving Ladle. Serving Spoon. Black Cherry Table Ladle. 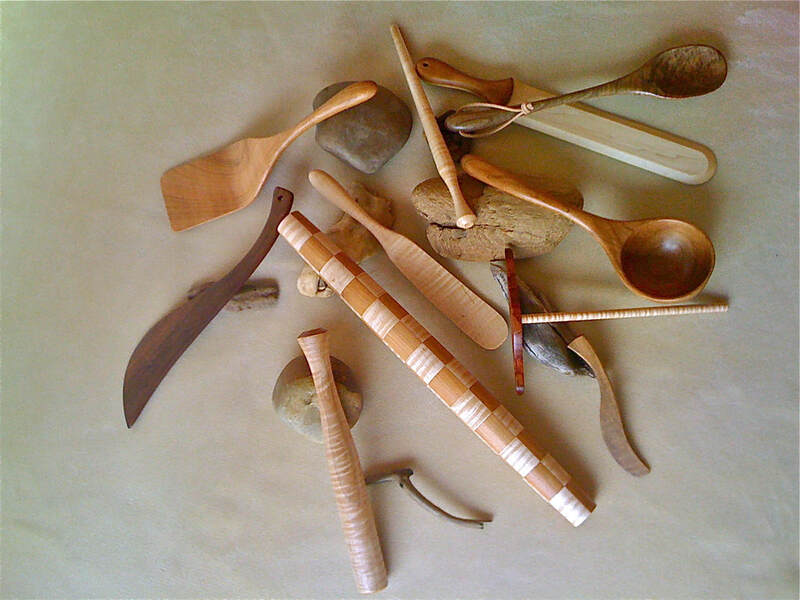 Handmade Wood Utensil. Wooden Serving Ladle. Wood Kitchen Tool. 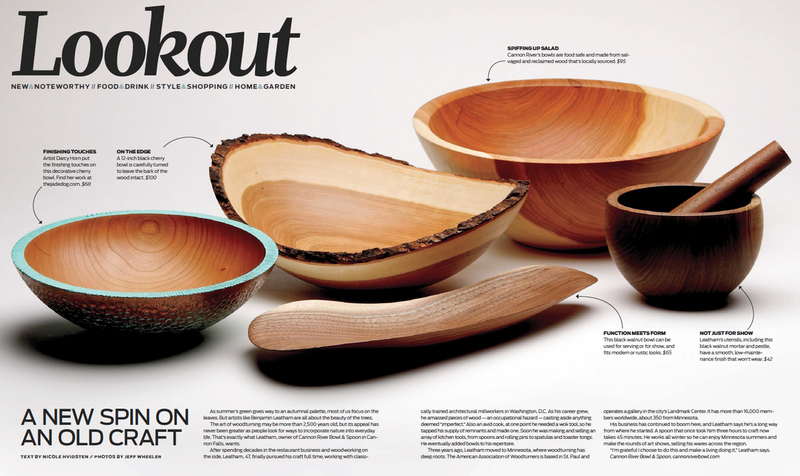 Wood Serving Ladle. Serving Spoon. Looking forward to another lovely weekend - this time in Lakeville. After that, the Octagon show on the 24th....busy, busy, busy! Looking forward to seeing you all out at the markets! Headed to the Sioux Falls Sidewalk Art Festival this weekend. Logistics are tough for the artists, but I imagine that it's a lovely show. (Fingers crossed). Grateful to have been named a best artist for the past 3 shows - nice surprise after eight+ years on the circuit! Hoping that everyone enjoys the lovely fall's weekend. Defeat of Jesse James Day in hometown Northfield. Get excited! I am eager to be a part of www.siouxcityartcenter.org/artsplashArt Splash this weekend in Sioux City, SD! I plan on bringing lots of bowls and spoons. I am continually amazing by how bountiful our summers in Minnesota are. I've been very fortunate to have some tree companies that have brought me some beautiful fallen trees - which I'm doing my best to turn. I've discovered a new technique to use the excess parts of the tree for my utensil making, which has been a brilliant development. My garden continues to bloom with enthusiasm. My pumpkins are threatening to take over the entire yard, no small feat. Tomatoes are starting to come on. And, blueberries have been a frequent treat. Looking forward to seeing many of you at the upcoming shows! I don't know about you all, but my summer is flying by! And, here we are approaching mid-August. I've been doing a fair bit of traveling this summer, with shows in Des Moines, Madison, but also spending time near home in Northfield and up in Minneapolis. I'll be at Riverwalk again on Saturday, followed by Duluth and then Austin. Looking forward to seeing many friends at the shows.